The most popular size for a ceiling fan is 52”. However, that does not mean it is the most energy smart choice for your space. 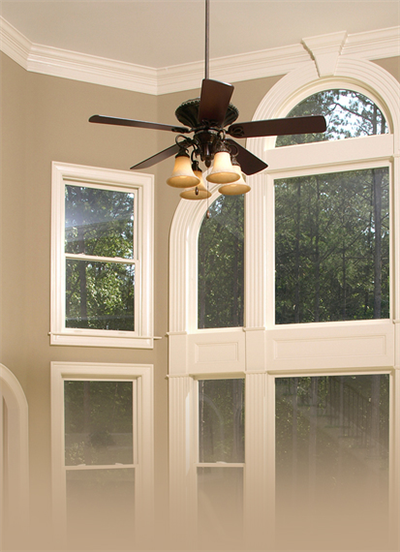 Energy efficiency is important when choosing a ceiling fan for your home. Choosing the most suitable blade span can be easily determined depending on the size of your space. When choosing the right width of fan for your space, consider that a fan with a blade span of 44” or less is best for rooms under 225 square feet. Blade spans of over 50″ are ideal for rooms up to 400 square feet. For rooms larger than 500 square feet it may be advantageous to have multiple fans should the space allow. Shop Horton’s Home Lighting’s ceiling fan sale today and get 20% off retail price!